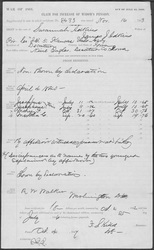 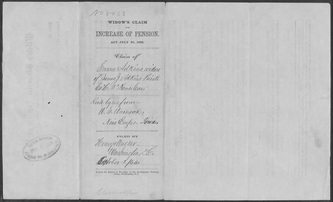 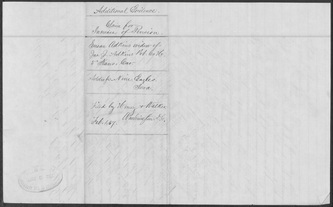 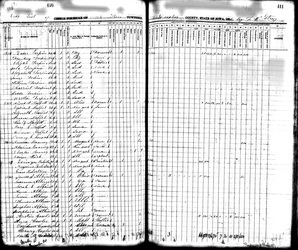 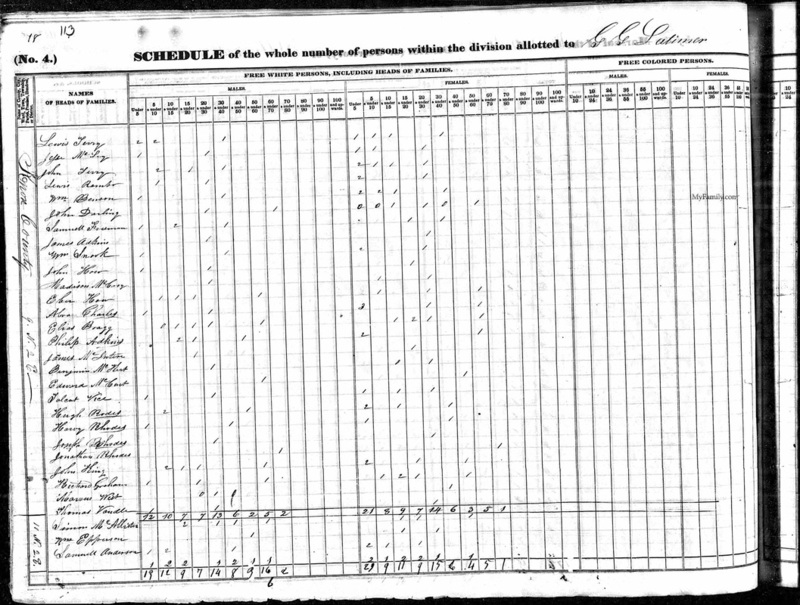 1840 U.S. Federal Census (Population Schedule), Knox County, Illinois, Page 60, James Adkins household, .jpeg image (Online: Ancestry.com, 2012) [Digital scan of original records in the National Archives, Washington, D.C.], subscription database, <http://www.ancestry.com>, accessed August 2012. 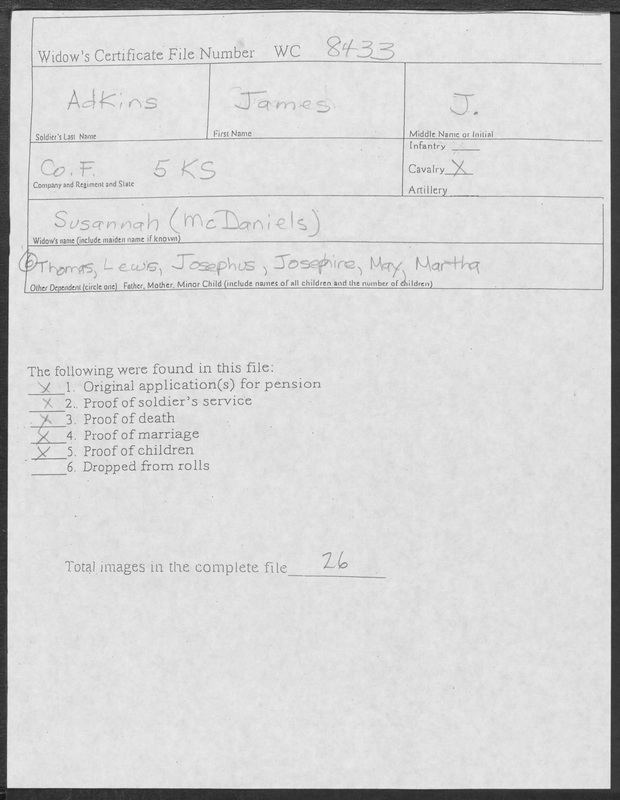 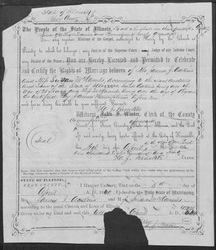 Knox County Illinois Clerk of the County Court, Knox County, Illinois Marriage Certificates, 1830-1922, Marriage Certificates 1830-1845 (Salt Lake City, Utah: Filmed by the Genealogical Society of Utah, 1984), FHL Microfilm 1404972. 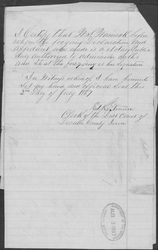 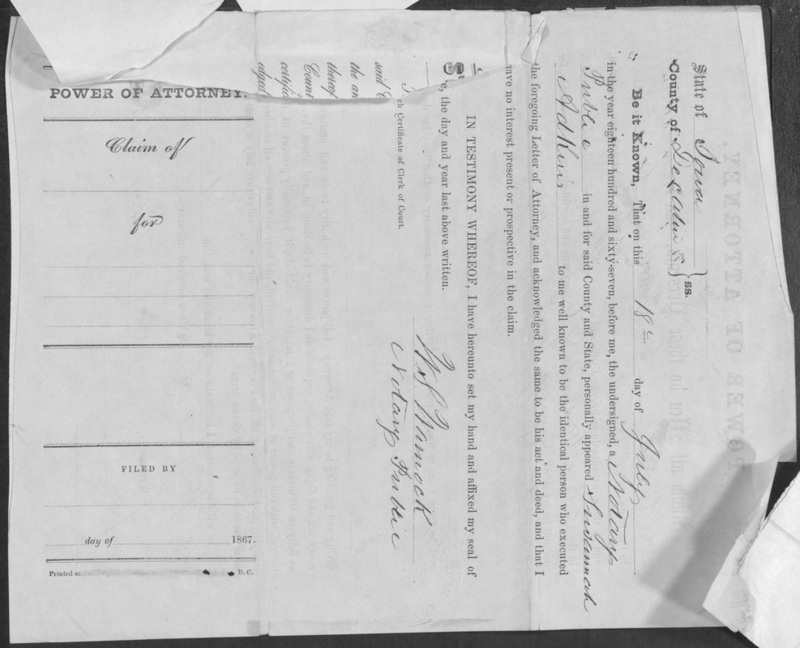 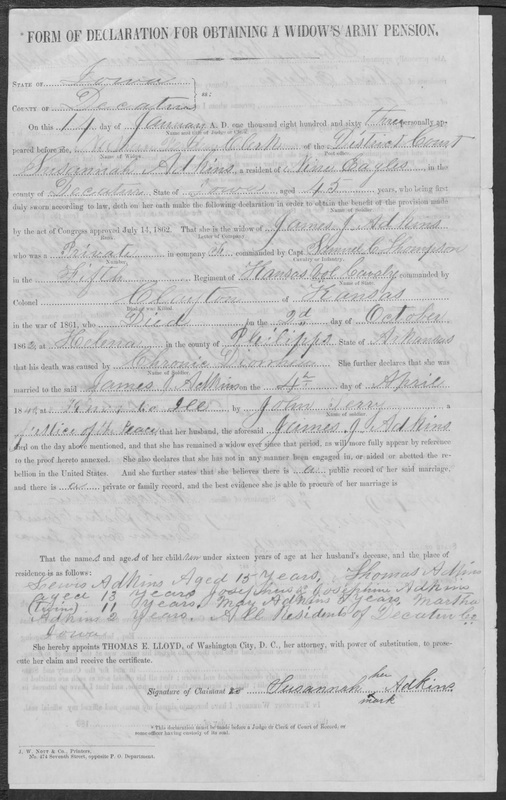 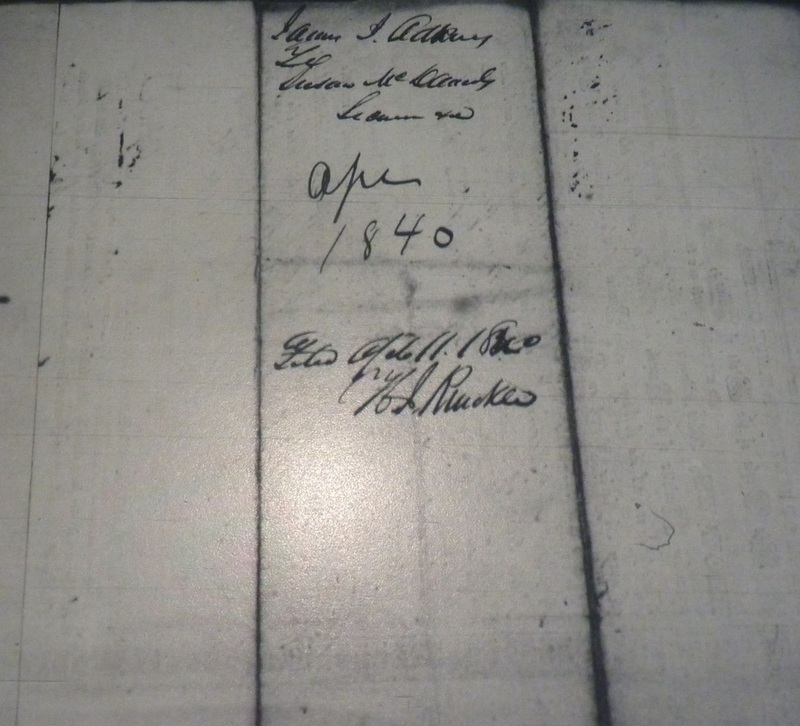 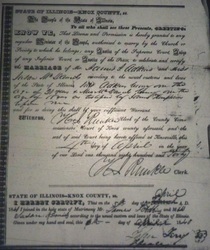 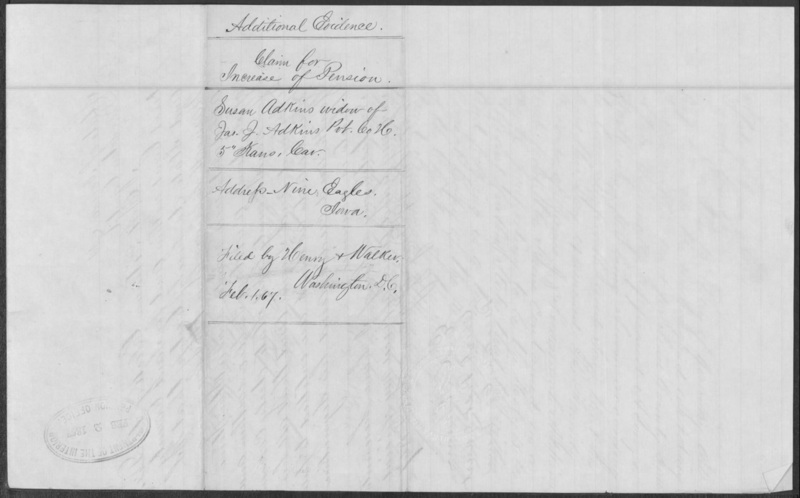 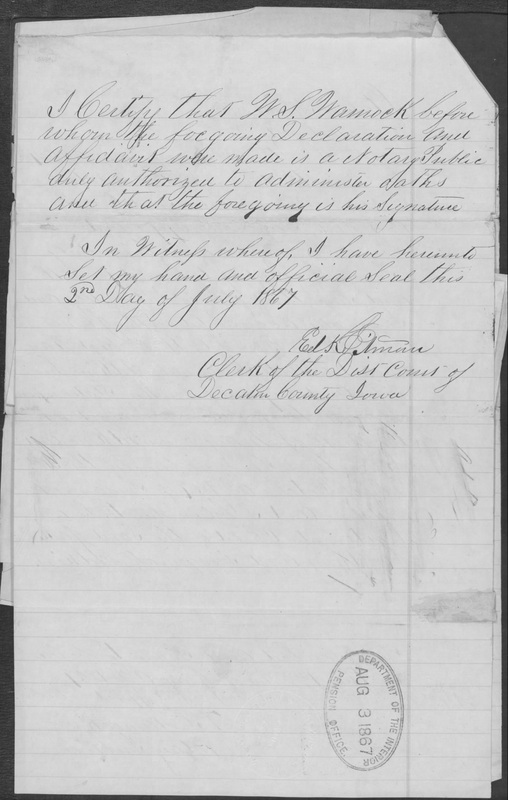 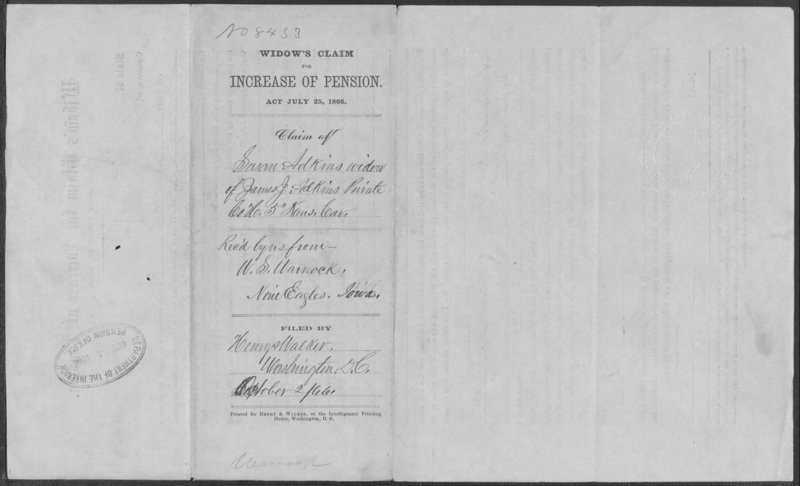 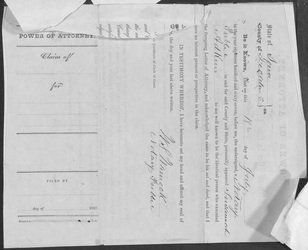 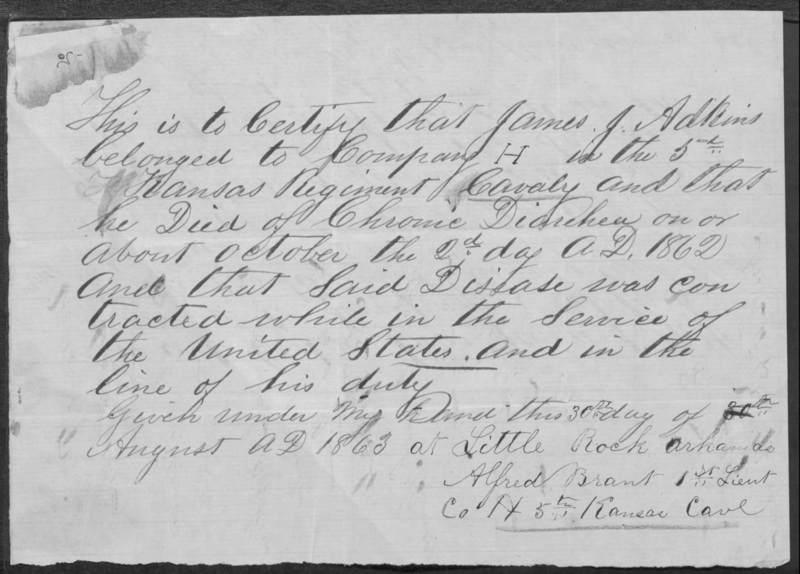 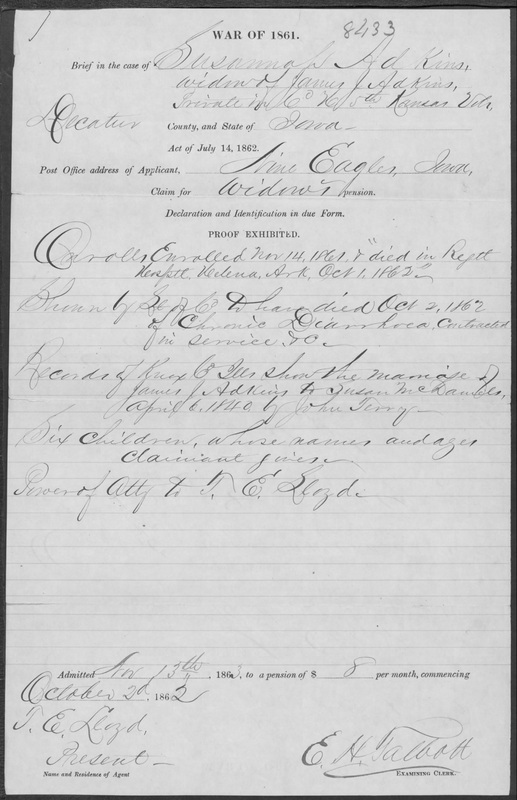 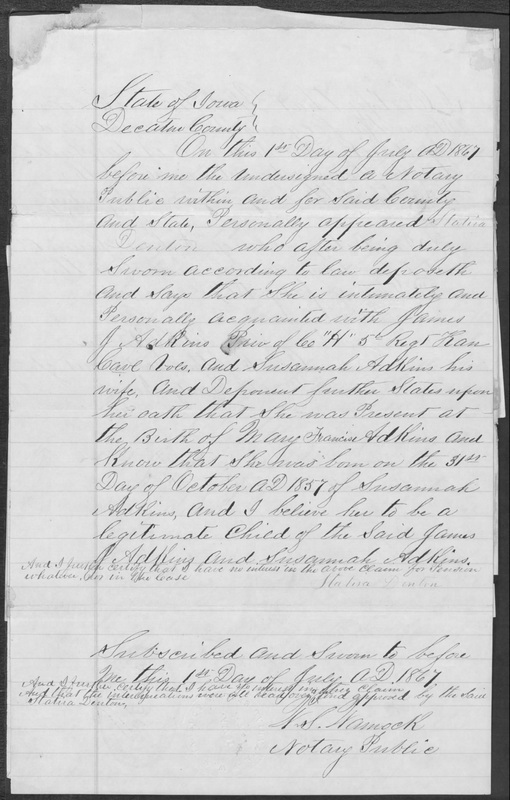 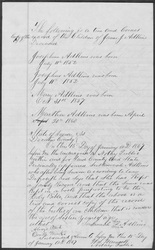 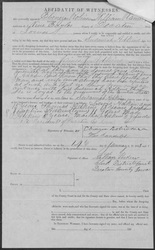 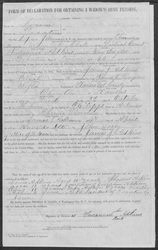 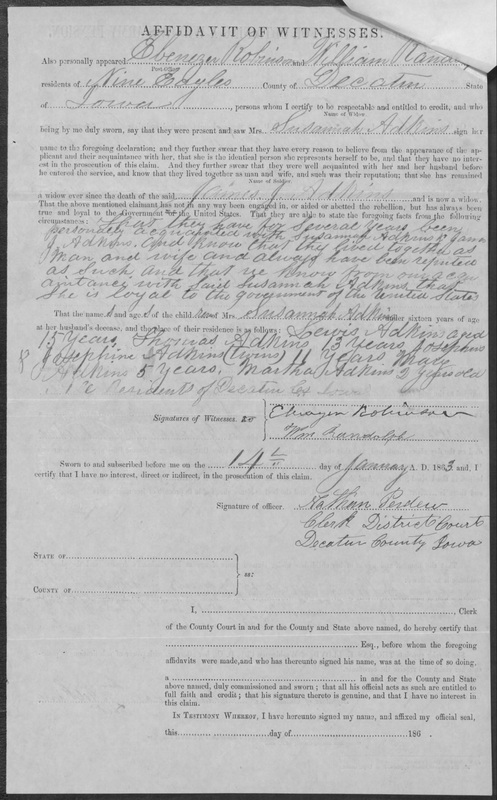 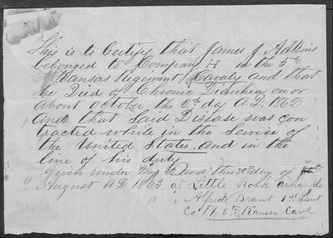 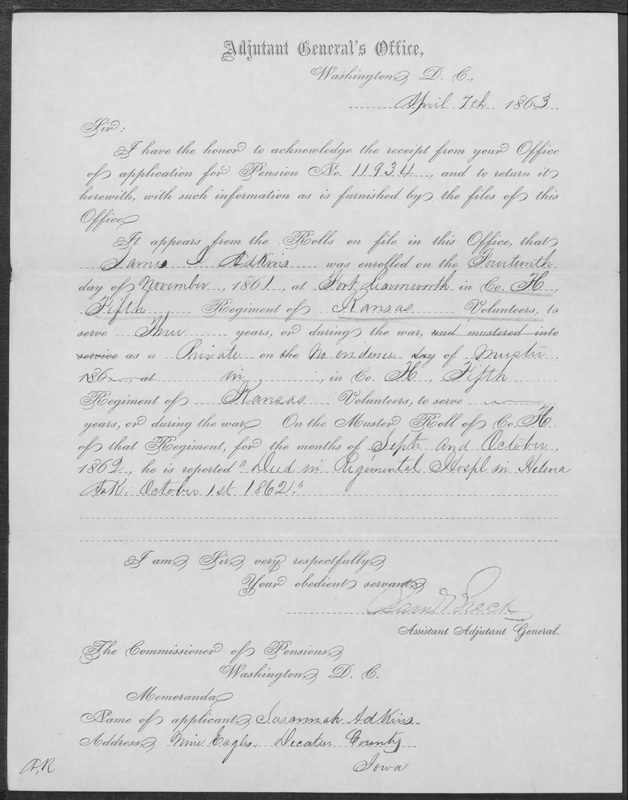 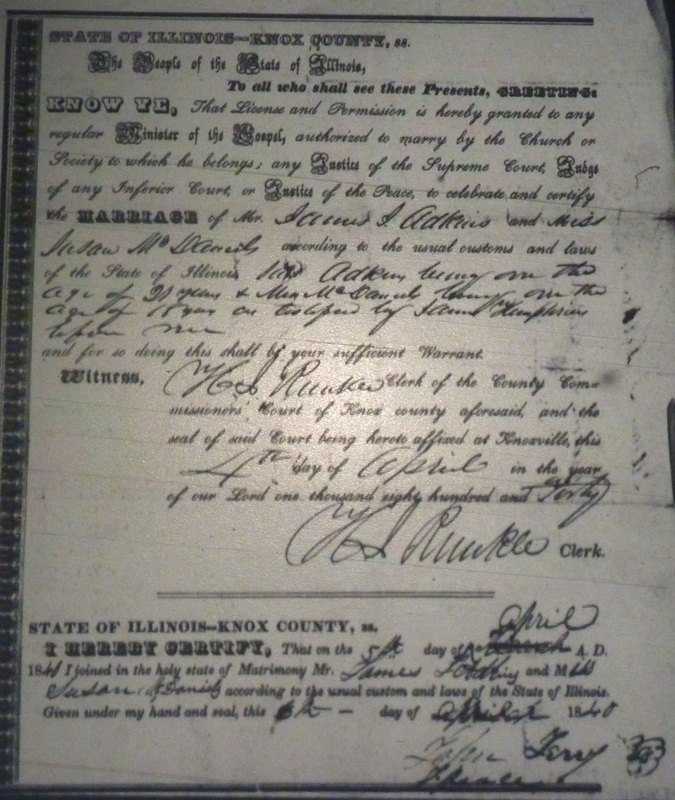 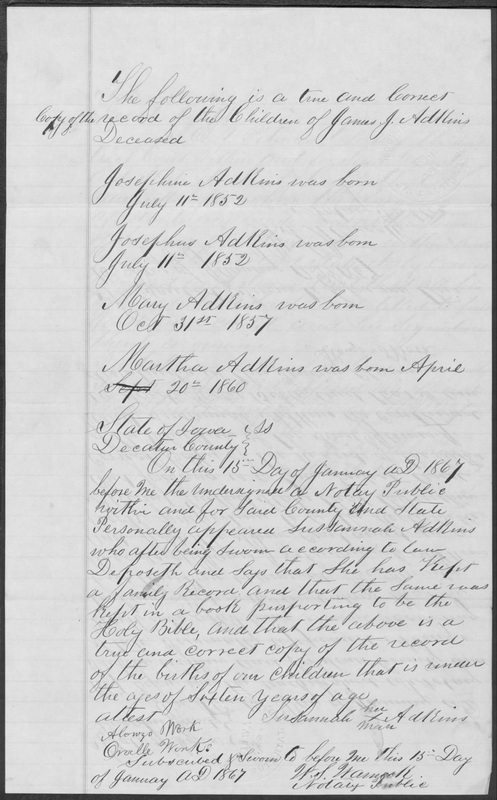 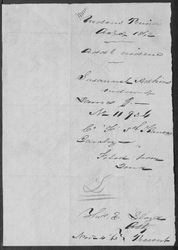 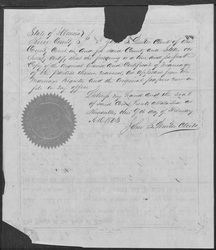 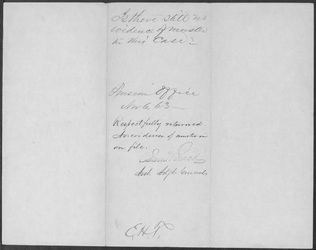 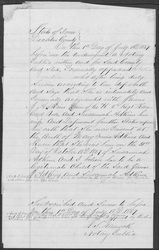 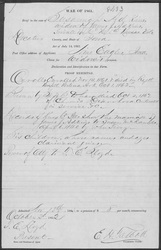 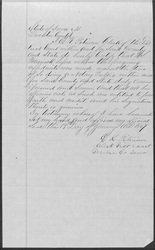 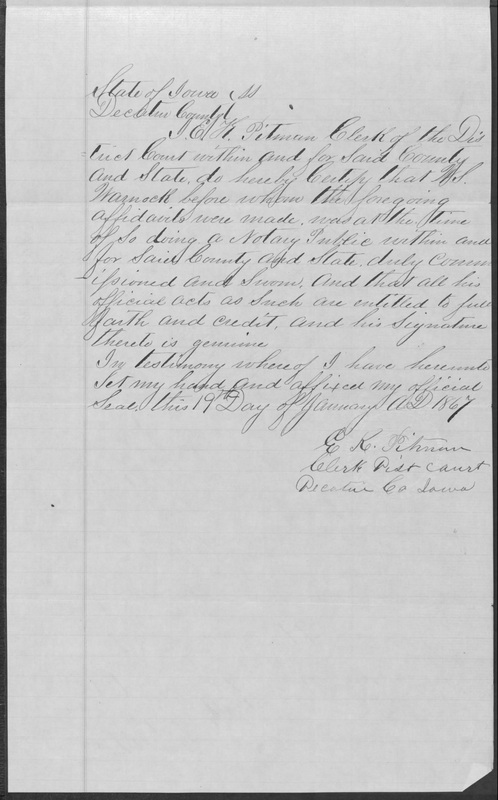 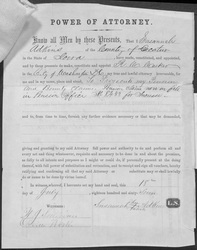 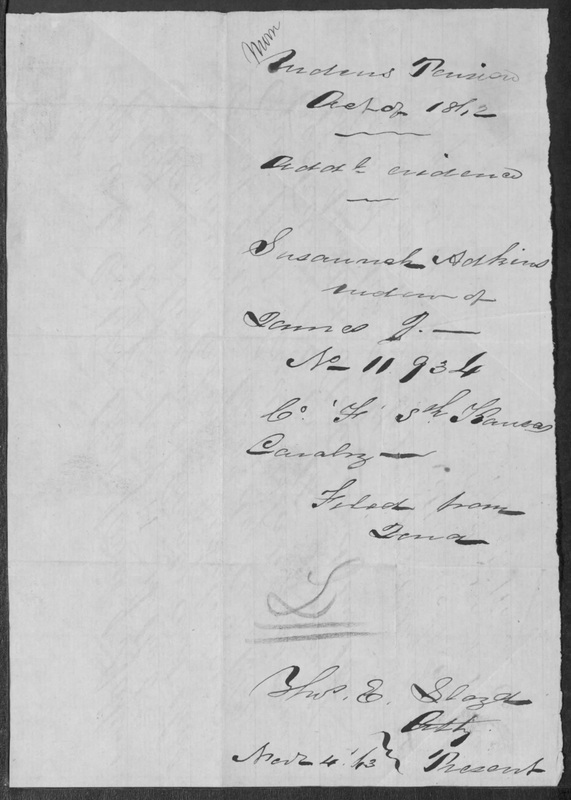 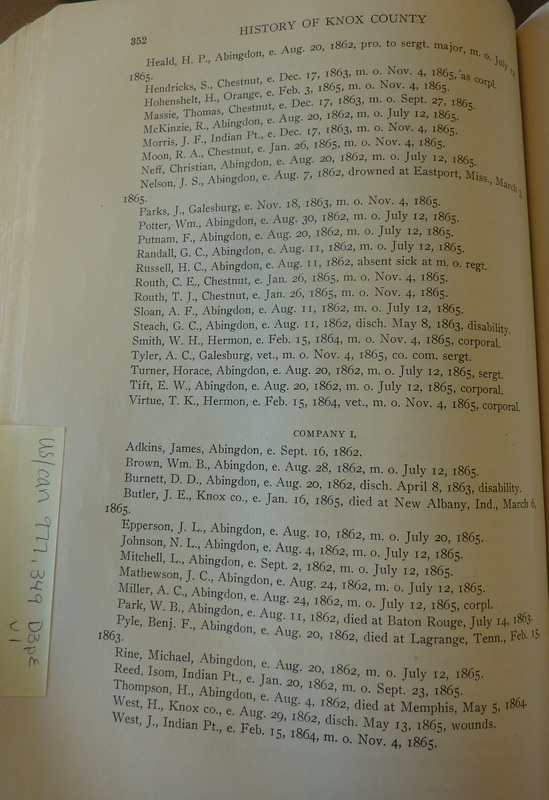 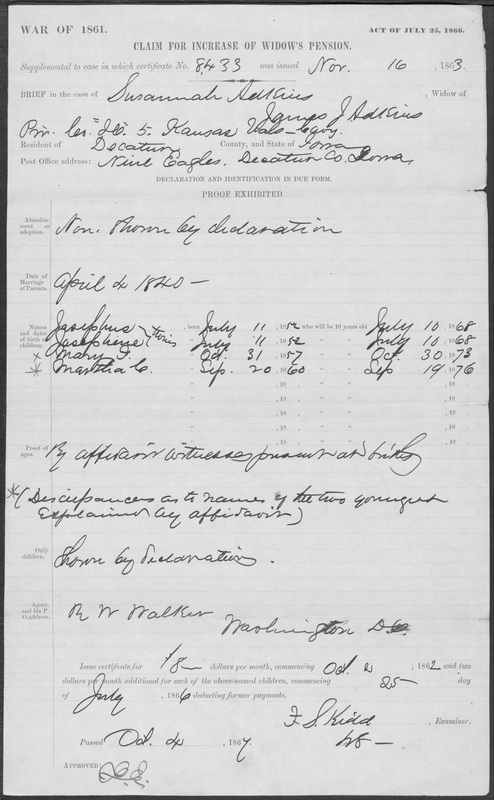 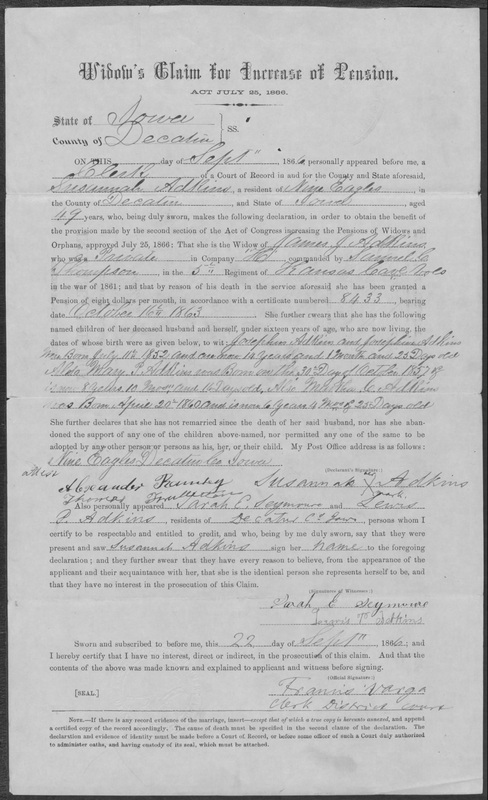 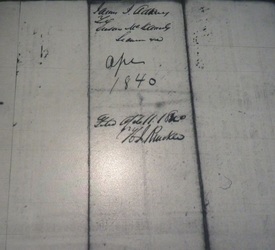 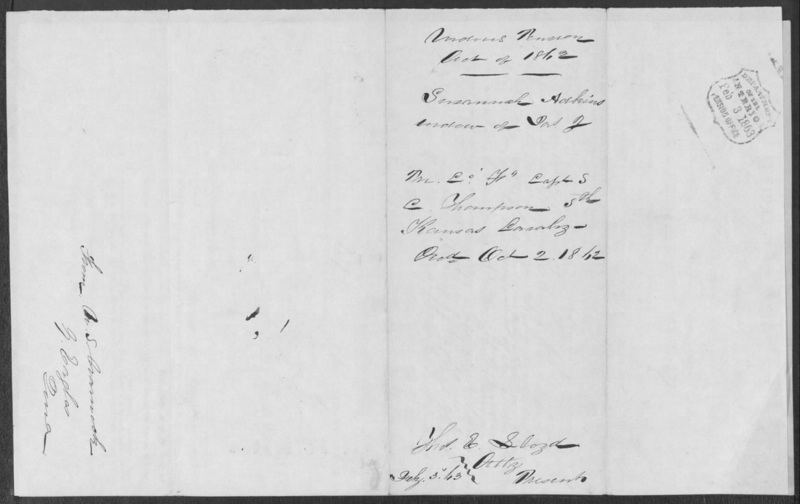 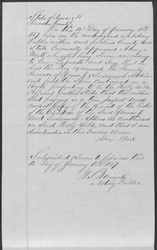 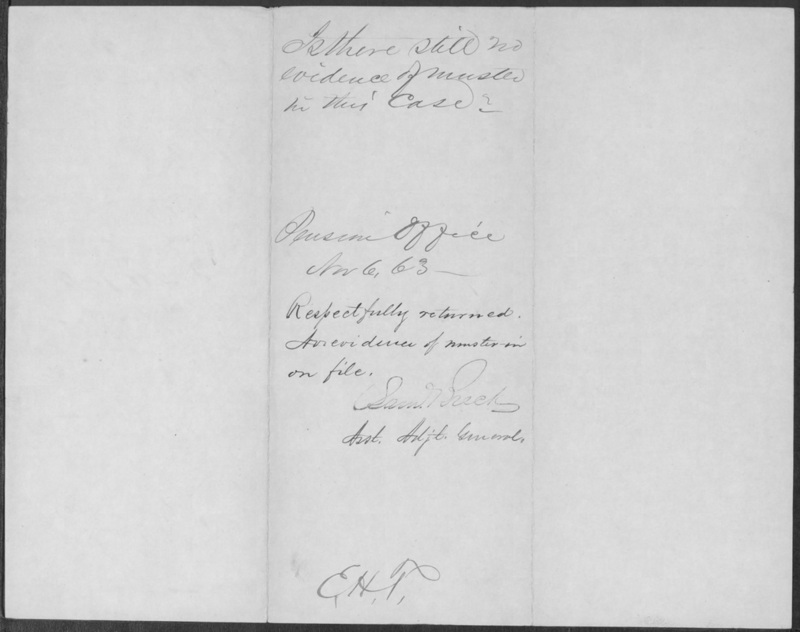 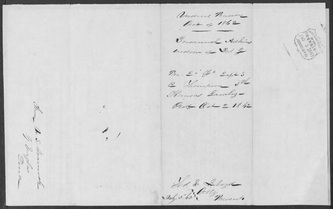 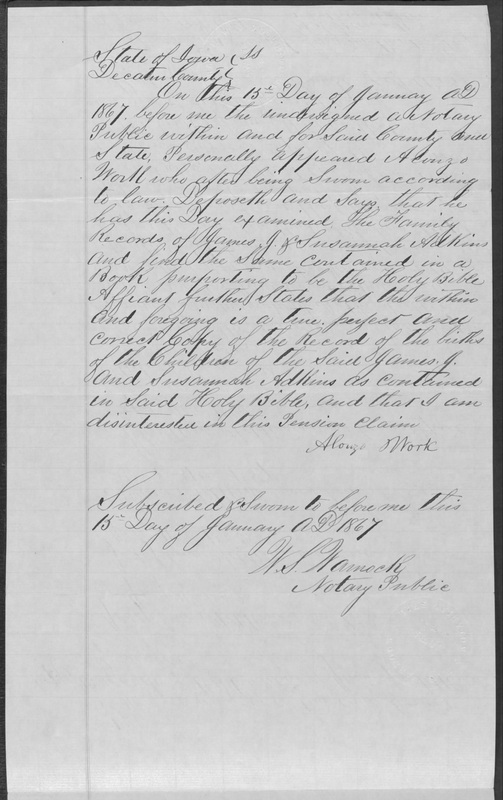 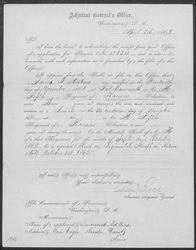 Knox County Illinois Recorder, Deed Records, 1818-1886, V. 11-13 No. 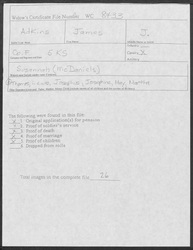 8100-9517 1842-1850 (Salt Lake City, Utah: Filmed by the Genealogical Society of Utah, 1984), FHL Microfilm 1403647. 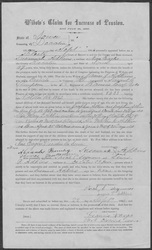 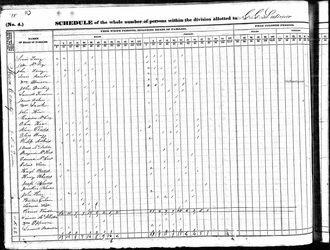 1850 U.S. Federal Census (Population Schedule), Township 9 N 2 E, Knox County, Illinois, Page 436A, Dwelling 1770, Family 1836, James Adkins household, .jpeg image (Online: Ancestry.com, 2012) [Digital scan of original records in the National Archives, Washington, D.C.], subscription database, <http://www.ancestry.com>, accessed August 2012. 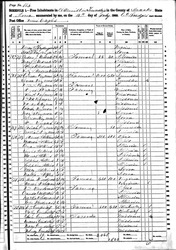 1856 Iowa State Census (Population Schedule), Hamilton, Decatur County, Iowa, Sheet 410, Dwelling 55, Family 60, James S Atkins [sic] household (Online: Ancestry.com, 2012), <http://www.ancestry.com>, accessed August 2012. 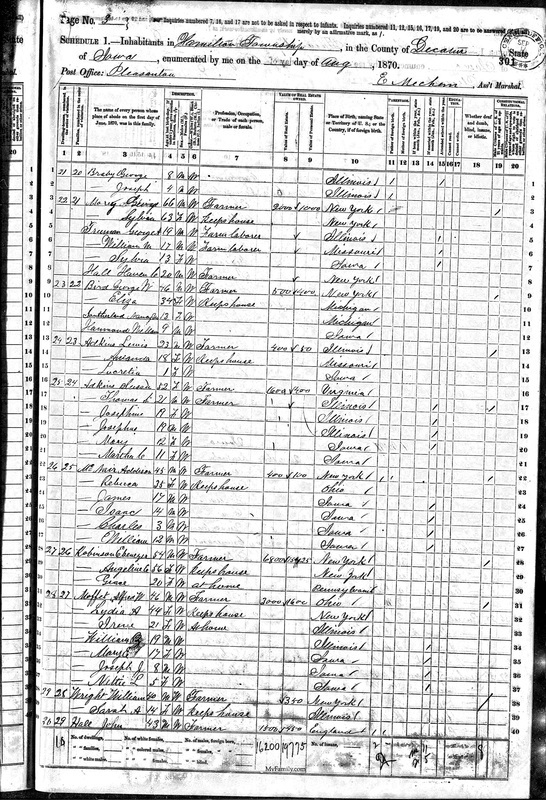 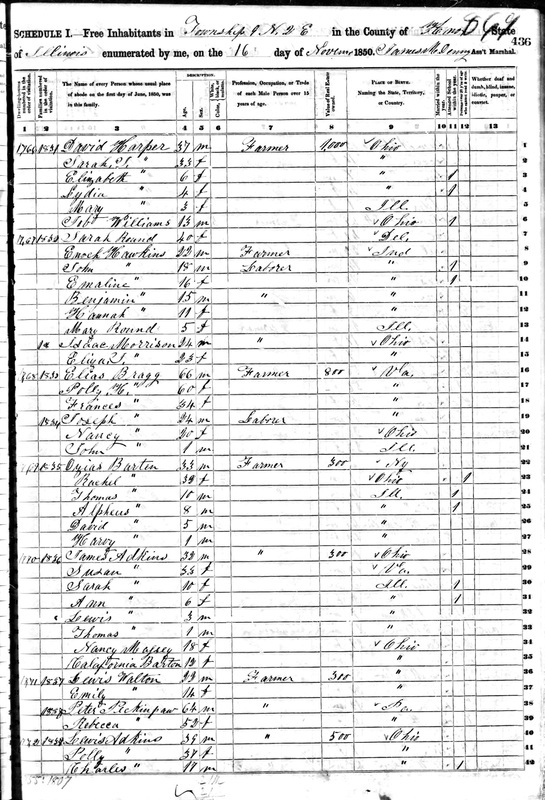 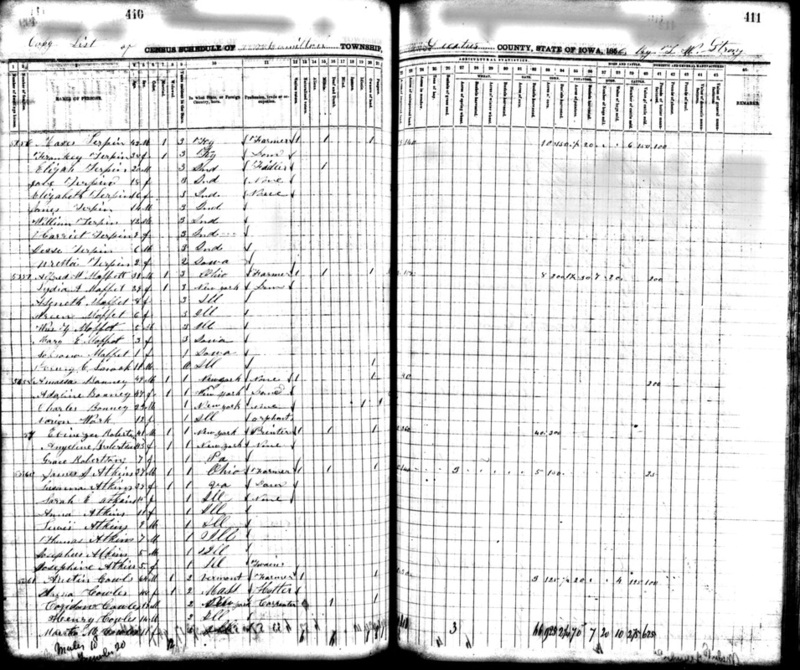 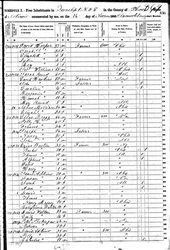 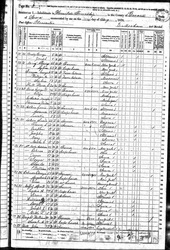 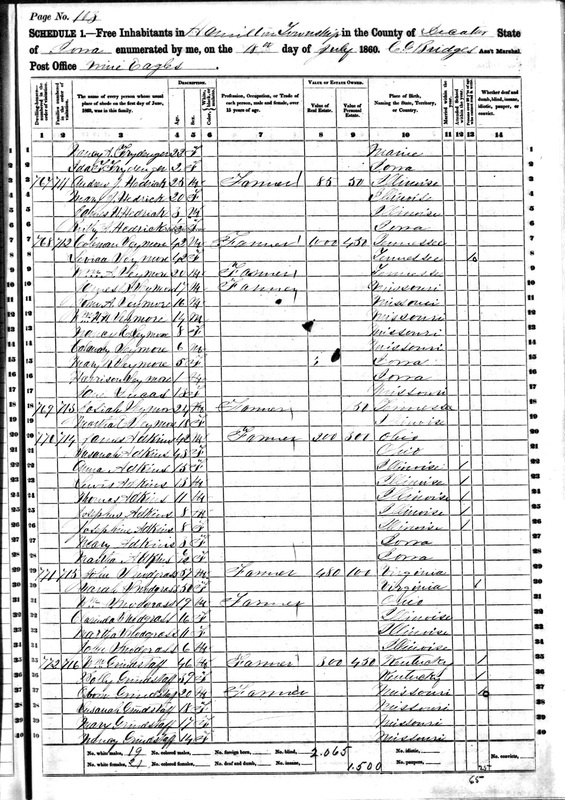 1860 U.S. Federal Census (Population Schedule), Hamilton, Decatur County, Iowa, Page 103, Dwelling 770, Family 714, James Adkins household, .jpeg image (Online: Ancestry.com, 2012) [Digital scan of original records in the National Archives, Washington, D.C.], subscription database, <http://www.ancestry.com>, accessed August 2012. Albert J. Perry, History of Knox County, Illinois, Its Cities, Towns, and People (Chicago, Illinois: S. J. Clarke Pub. 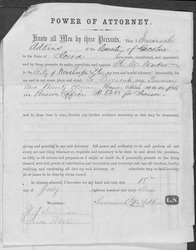 Co., 1912), FHL Book 977.349 D3pe v. 1.